Who wants to save some money on a bunch of awesome video games? If you answered yes, then the new Humble Jumbo Bundle is perfect for you! That’s right, there’s another new humble bundle, and it comes with some awesome games that you can get for whatever price you see fit. The Jumbo Bundle comes with a total of six games, but three of them require you to exceed the $4.12 average (as of writing, the average changes based on what people are paying) to get them. The first three that come at any price are Natural Selection 2, Sanctum 2, and Magicka with a slew of DLC. If you exceed the minimum, you also get Orcs Must Die 2, Garry’s Mod, and Serious Sam: BFE. Natural Selection 2 is a really well-made first-person shooter, Sanctum 2 is another alien-based FPS that features a really cool art style, and Magicka is a slick action RPG that is a ton of fun. For the over average games, Orcs Must Die 2 is a really deep tower defense game, Garry’s Mod is a source tool for making and playing all kinds of crazy stuff, and Serious Sam: BFE is an insane FPS that is well worth playing. All in all, you get six really fun games for an insane price. All of them are redeemable through Steam, which may be a positive or a negative depending on your feelings on the DRM platform. Either way, it’s really hard to complain when you are getting some incredible games for this cheap, and to top it off, the money spent can be donated to charity, which is even better! 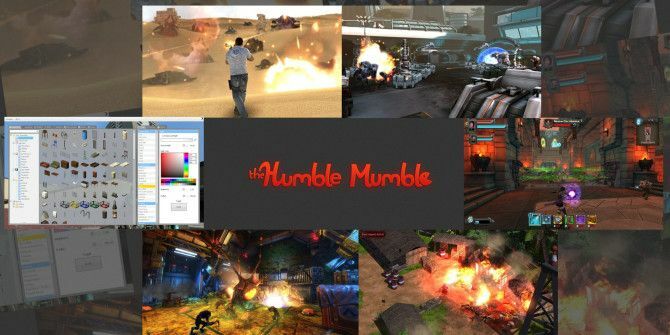 Did you grab the latest Humble Bundle? What’s your favorite game in the lot? Hit the comments section below and let us know! SS:BFE is worth minus-$5, so this is kind of a ripoff. I've gotten several games through Humble Bundle. It's a terrific idea and they raise a lot of cash for indie developers and charity.